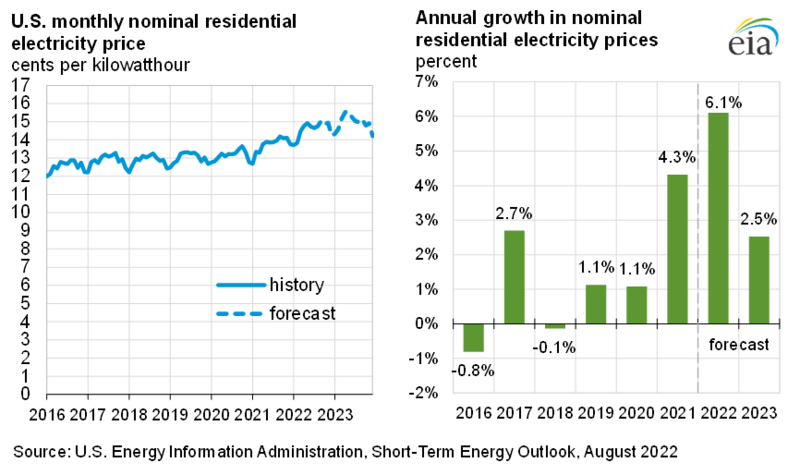 EIA expects the average U.S. residential customer will use an average of 1,026 kilowatthours (kWh) of electricity per month during the summer cooling season that runs from June through August, 2019, about 5% less than the same period last year. 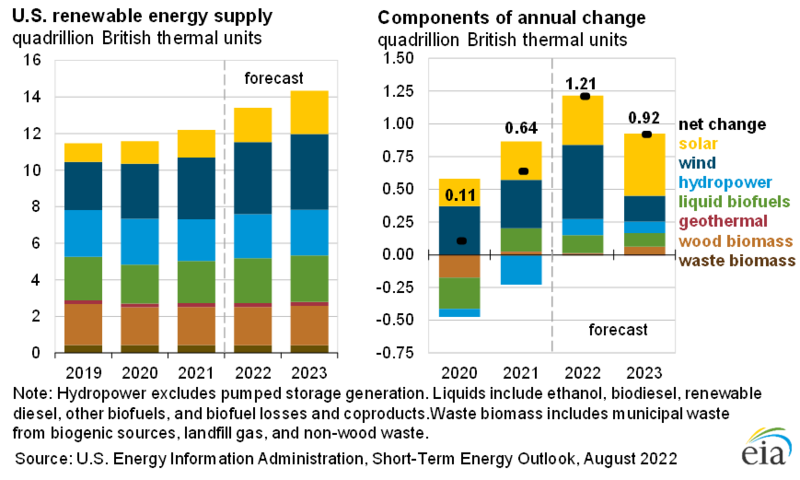 EIA uses the National Oceanic and Atmospheric Administration’s weather forecast, which indicates that temperatures will be cooler than last summer in all regions of the United States. 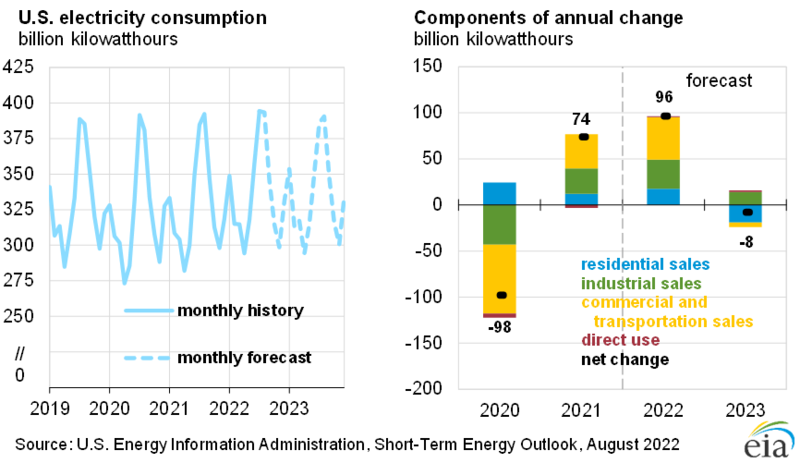 The cooler forecast temperatures contribute the lower expected electricity use. aConventional hydroelectric power only. 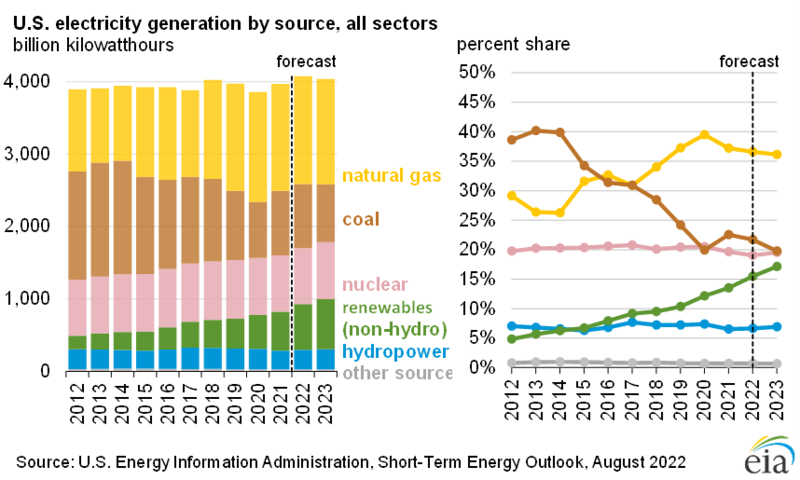 Hydroelectricity generated by pumped storage is not included in renewable energy.